Community Assets are land or buildings predominantly owned by statutory services which are then transferred over and developed under the management of community organisations. Asset based development assists 3rd sector organisations to achieve long-term sustainable social, economic and environmental achievements within their own locations. Working for a number of years with Dudley Metropolitan Borough Council and Locality, I was instrumental in supporting the development of Dudley’s Asset Transfer Strategy and subsequent Asset Transfer Policy and How to Guide (which you can access via the previous link) and although it took a number of years to initiate I am happy to state that Asset Transfer and Development within Dudley borough is swiftly progressing. To date we have seen the transfer of Lye & Wollescote Chapels which incidentally was the pilot transfer within the borough, being passed over to West Midlands Historic Buildings Trust and below is greater detail regarding this transfer. This local landmark building and beauty spot, originally designed in the style of a Victorian landscaped park, is a rare surviving example of two chapels within a single building. The site was severely at risk from greater dilapidation, when volunteers at the West Midlands Historic Buildings Trust stepped in to save the historic building. Under “DMBC asset transfer” policy, the Trust along with a range of partners including Dudley CVS is working towards bringing this rare and beautiful facility back into community use and recently the Trust was awarded an Heritage Lottery Fund (HLF) grant of over £1m to help us achieve that. Developing an asset can be a long-term commitment and working collaboratively with a range of partners has allowed the transfer to progress relatively smoothly. A good example of this is that we have supported the sourcing and development of funding applications plus, again with partners, we have sourced potential tenants for the site. 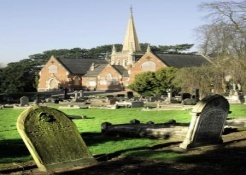 In addition, as part of the Heritage Lottery Funding, an activity plan for the site has had to be developed and again working as a team, we are all looking at various elements of this plan for example, aspects will including supporting the development of a Friends of Lye & Wollescote Chapels group. This voluntary group will help bring in additional funds for the site plus it will assist in promoting and safeguarding the chapels both now and in the future. The site will offer a range of voluntary opportunities, facilities to other agencies and greater opportunity for local people to learn more a about this iconic building sitting within their community. Over the coming months I will keep you fully informed of asset transfer and asset development including the more recent transfers of Dudley Day Centre to Dudley CVS and the Hasbury Sons of Rest Building, Halesowen to Hasbury Community Association. Additionally, Dudley CVS has developed an Asset Transfer & Development Toolkit which focuses on areas ranging from Understanding Asset Development to Long-term management of a building and over the coming months I will provide taster sessions of these. 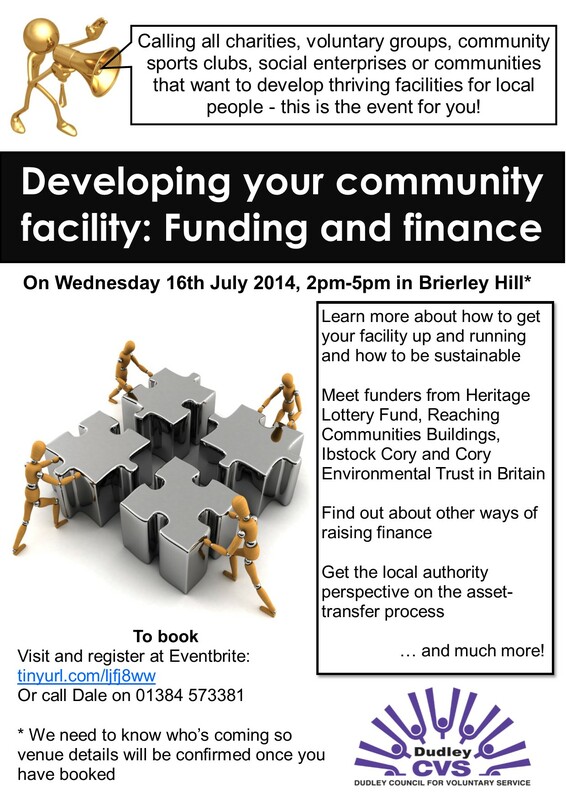 If you immediately wish to find out more about Asset Transfer & Development however, we are running an event on the 16th July from 2pm onwards in the Brierley Hill area. Reblogged this on Volunteering Counts.